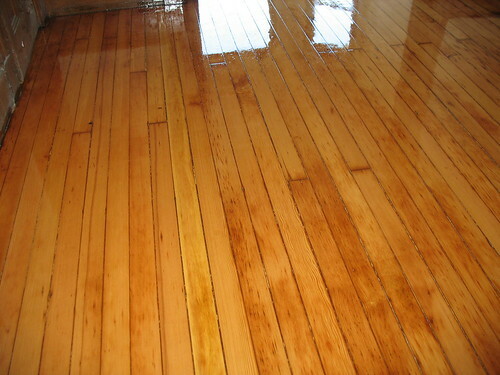 Varnished floor!, originally uploaded by berkeleygal77. My floors are sanded and varnished!!! Second coat goes on tomorrow. They're very purty!